Gu Kailai, wife of former high-flying Chinese politician Bo Xilai, has gone on trial charged with murdering British businessman Neil Heywood. Gu Kailai is accused of poisoning Neil Heywood in 2011 in Chongqing, where her husband was the Communist party head. State media has called the case against her and an aide “substantial”. The country is preparing to install a new generation of leaders, and Bo Xilai had once been seen as a strong contender for one of the top jobs. Bo Xilai was sacked in March and is currently under investigation for unspecified “disciplinary violations”. Some Chinese leaders are said to welcome the demise of such an openly ambitious colleague, but the case still needs careful handling for fear it might taint the Communist Party itself. Gu Kailai, 53, who is a well-known lawyer, is being tried in the city of Hefei. Dozens of uniformed and plain-clothes police were stationed around the court building, at which a convoy of black cars was seen arriving on Thursday morning. British diplomats are being allowed to witness the trial but journalists will not be attending. Gu Kailai is being represented by state-appointed lawyers. Neil Heywood’s body was found at a hotel in Chongqing in November 2011, and the death was recorded as a heart attack at the time. But four months later Bo Xilai’s right-hand man, police chief Wang Lijun, fled to a US consulate to allege murder and a massive cover-up. 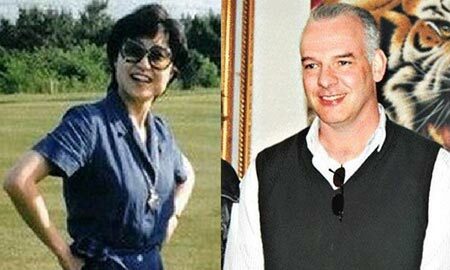 Gu Kailai and her aide Zhang Xiaojun are now accused of killing Neil Heywood, who is said to have been a business associate. State media said Gu Kailai and her son Bo Guagua fell out with Neil Heywood over “economic interests” and that she was worried about “Neil Heywood’s threat to her son’s personal security”. “The facts of the two defendants’ crime are clear, and the evidence is irrefutable and substantial,” a Xinhua news agency report said. Gu Kailai and her husband have not been seen in public since April, when the investigation was announced. Bo Guagua, 24, is believed to be in the US after graduating from Harvard University. “As I was cited as a motivating factor for the crimes accused of my mother, I have already submitted my witness statement,” he wrote in an email to US broadcaster CNN on Wednesday. “I hope that my mother will have the opportunity to review them,” he wrote. Discussion of the case has been very limited in Chinese media. In the week leading up to the trial, no reports have been observed in state press. Comment also appears to be tightly controlled on the internet, with an increasing number of keywords related to the case apparently blocked. “I have noticed that in China’s weibo (Twitter-like microblogging sites) and the internet, there are people expressing the view that she should be given a fair trial,” said Lijia Zhang, a Beijing-based writer and journalist. Seven members of the politburo Standing Committee are due to retire later this year. Bo Xilai, now sacked from his official positions, had been tipped for the top until his fall from grace. Bo Zhiyue, of the National University of Singapore, said China’s leaders were keen to make the focus of the case criminal, rather than political. ”Bo Xilai is a controversial figure. The central leadership may be divided over how to handle Bo Xilai. I think they have some consensus over how to deal with Gu Kailai,” he said. He added that there were signs she would be treated with a degree of leniency, pointing to the suggestion in state media that Ms Gu was in some way trying to protect her son. Jin Xiaopeng, a Beijing-based lawyer, said he believed that “due to Ms Gu’s special status, the most she will get is a suspended death sentence”. It is not known whether Bo Xilai or Wang Lijun will appear at the trial.